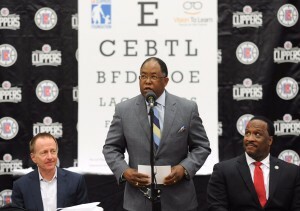 (Left to Right) Vision To Learn Founder Austin Beutner, Los Angeles County Supervisor Mark Ridley-Thomas, Inglewood student with new free eyeglasses, and Clipper Chris Paul on January 19, 2017. 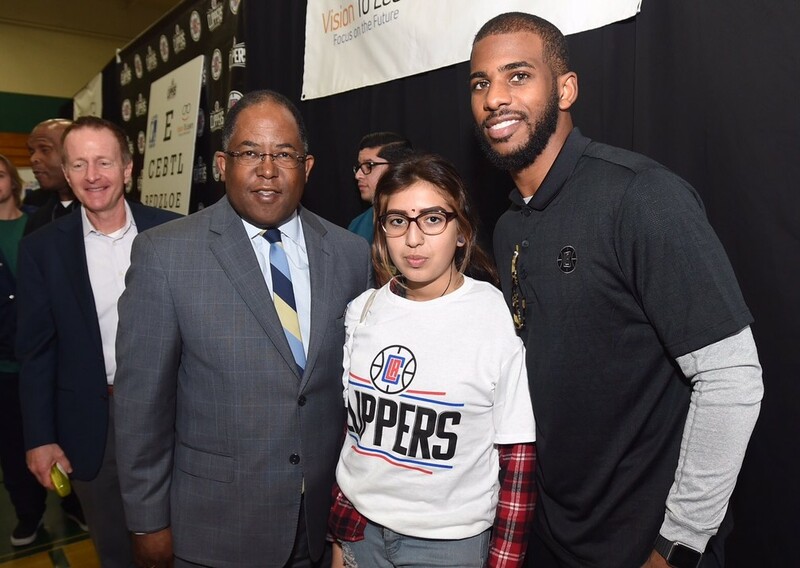 Dozens of students lined up on a basketball court at Inglewood High School and were greeted by NBA Clippers stars Chris Paul and Paul Pierce, a former player at Inglewood High. But the students were not learning new basketball insights. They were in line to receive a free assist to improve their sight. “Many students identified as ‘problem learners’ do have a problem, but the problem is with their vision, not with their ability or willingness to learn,” said Los Angeles County Supervisor Mark Ridley-Thomas. On Tuesday, the Los Angeles Clippers Foundation and Vision to Learn announced a new partnership to provide free eyeglasses to every student in need in the Inglewood School District. According to one study by the UCLA Schools of Medicine and Public Health, more than 20% of elementary school students in low-income communities have a vision problem and 96% of those students needing glasses do not have them. Founded by Austin Beutner, Vision To Learn is a non-profit that provides free eye exams and eyeglasses to students in low-income communities. 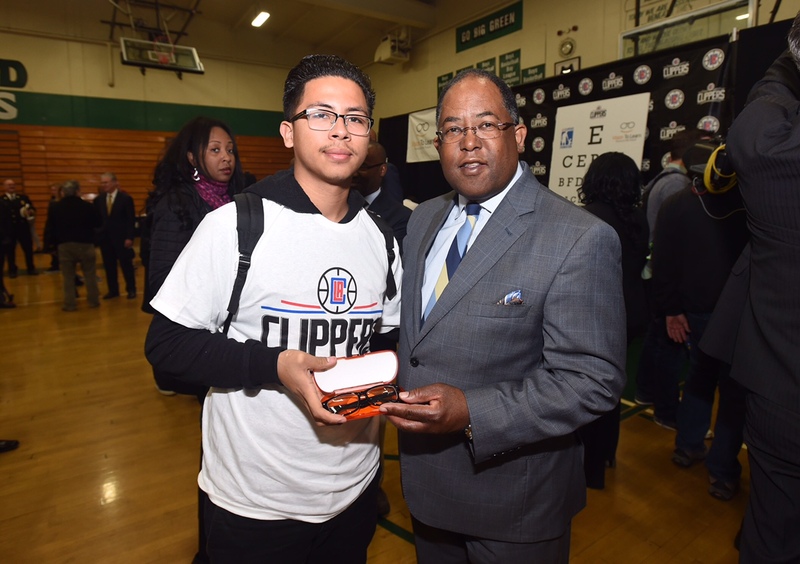 The Los Angeles Clippers Foundation’s sponsorship of the nearly 12,000 students in the Inglewood School District is the first of its kind. “Eyeglasses are one of those resources that can make the difference between success and failure in the classroom,” the Supervisor said.